Webb & Sons Inc. - Come and enjoy a relaxing and convenient day out on the water! Come and enjoy a relaxing and convenient day out on the water! 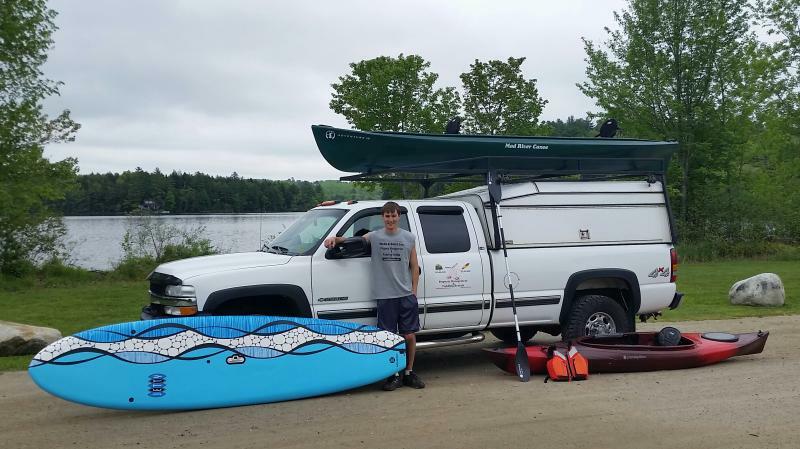 Webb & Sons Paddling Rentals is a rental business that offers kayaks, canoes, and paddleboards to rent by day(s) or week(s) in the Winthrop Lakes Region. Readfield, Winthrop, Manchester, Mt. Vernon, Wayne, Fayette, Monmouth, Augusta, Hallowell, Gardiner, Belgrade, Livermore, and BEYOND! When renting from us on your day off or vacation, your experience with us will be convenient and enjoyable! There's no need to lift a finger or waste valuable time on the road hunting for a paddleboard with our free delivery services. Call or email us what, when, and where you’d like to rent, and how long, and we’ll deliver right to you! "Very friendly. Got extra time with the board with night before drop off. Will use service again. Best part was delivery to my house/lake. That made all the difference.﻿"
"Thank you for be﻿ing so helpful and prompt! Delivery and pick up was huge and most appreciated. Looking forward to renting paddle boards again this summer and will circulate your card!"